Something from my bar whenever I feel like it episode CLXXXVIIsteemCreated with Sketch. Here's something that you wouldn't expect to find on a wall. Well I guess technically it's on a door not a wall but still. I used to watch Sponge Bob while working on computers and drinking beer. Hey the old ones were pretty good and had some adult humor in them. Quit watching when they got really dumb and all PC. 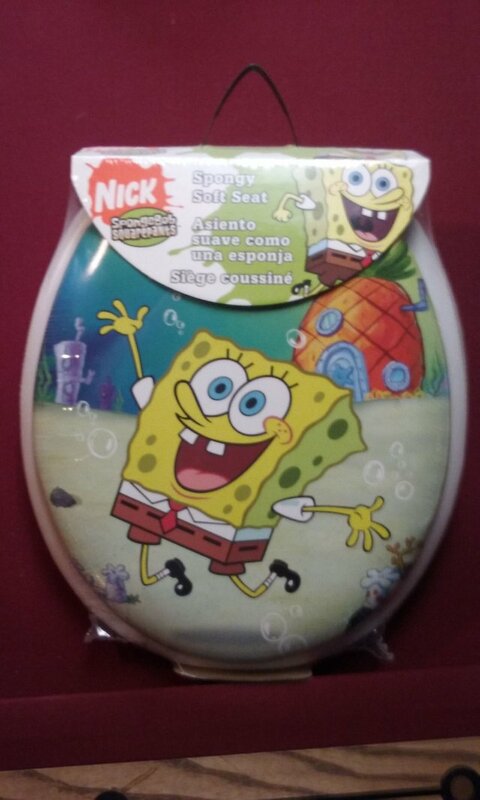 When I first started moving in my Mom got me this toilet seat for Xmas as a joke. Well the the toilet had to be replaced and the seat was the wrong type for the new one. There was an old clothes rack on the outside of the bathroom door so I decided to just put it on there as decoration. Guess it kind of acts as an indicator that that is the bathroom door too. 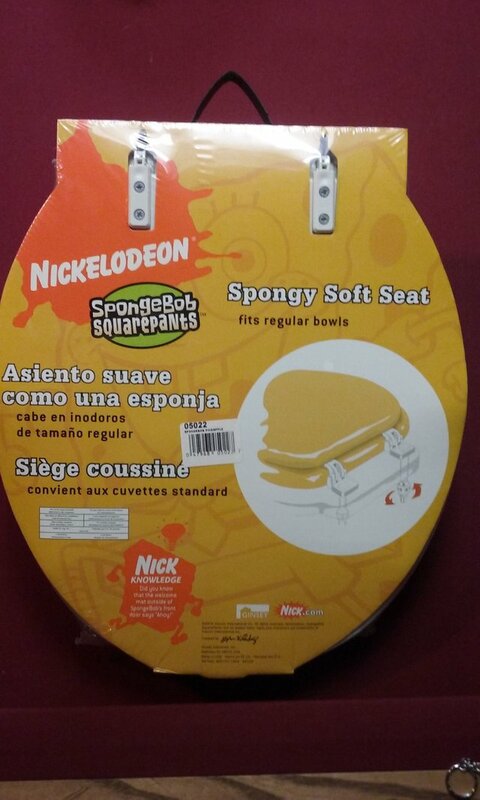 So yea I have a Sponge Bob toilet seat hanging up. Probably the strangest bar decoration.